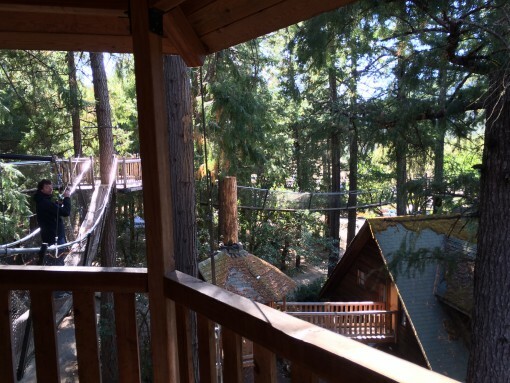 We were there – on the annual World Treehouse Conference in Takilma, Oregon. Johannes, Christopher and me, representing half of the Baumbaron-Team and all of Treehouseblog. It was true magic. 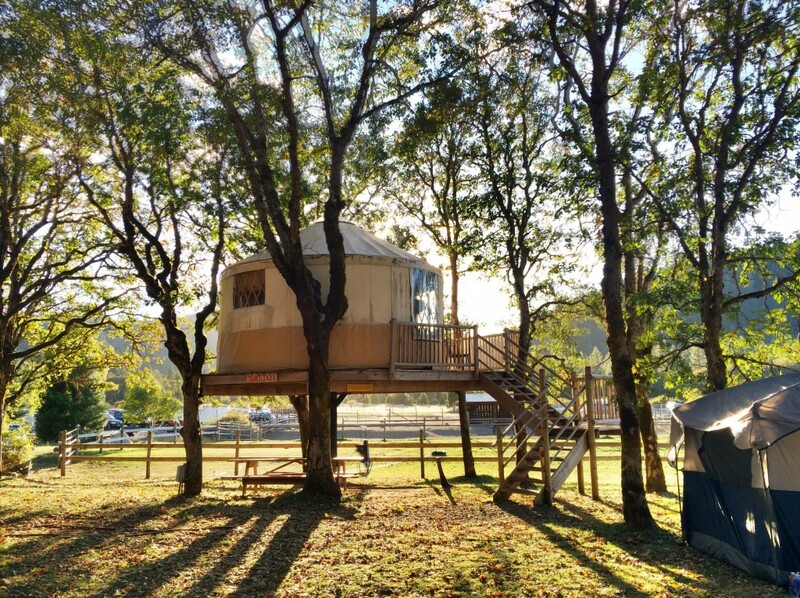 Hidden in a fairy tale-like forest the treehouse resort “Out’n About”, created and run by the treehouse legend Michael Garnier, which every year invites treehouse builders, -technicians, -suppliers and -enthusiasts, to discuss all treehouse related topics and to just have a good time. 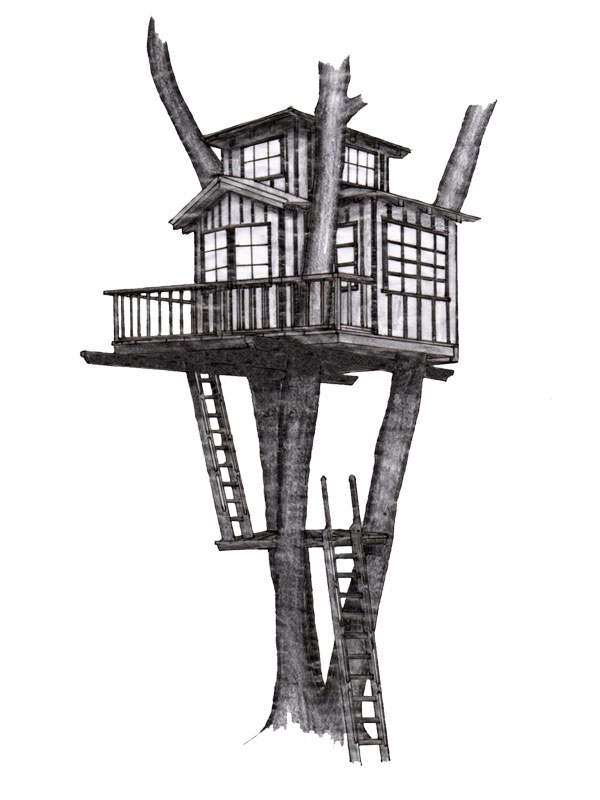 Around every corner you discover fantastic treehouses and people, each more fascinating then the last. View to the Main Hall (to the right) from the Pleasentree. 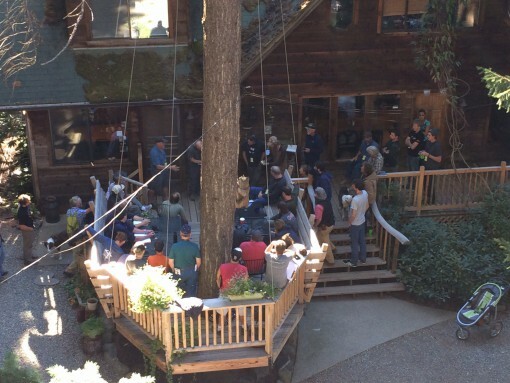 The conference schedule was diverse and ranged from tree climbing techniques over tree biology to treehouse design. 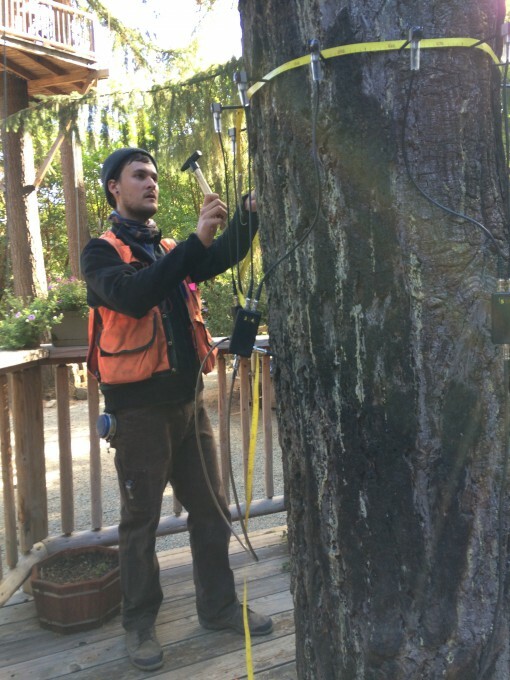 On the second morning for example we were able to watch Casey from Tree Solutions performing a tomography test on a potential zipline tree. This was done to make sure the giant doesn’t have any cavity or other issues which would cause it to be unsafe. 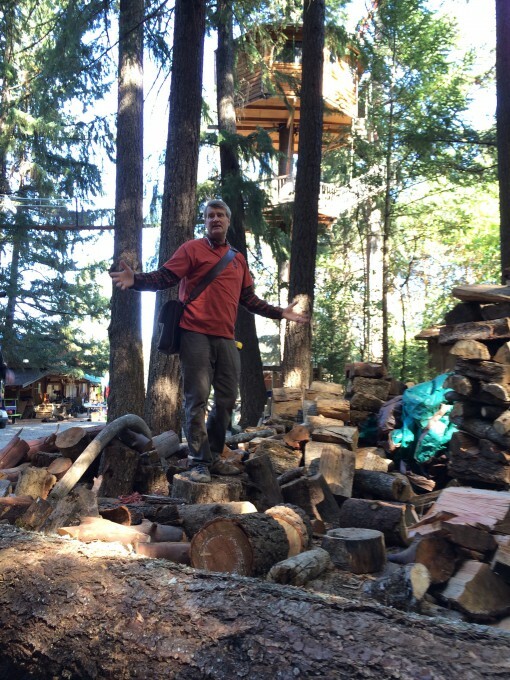 Right after that we learned all about Pete Nelsons treehouse design processes. 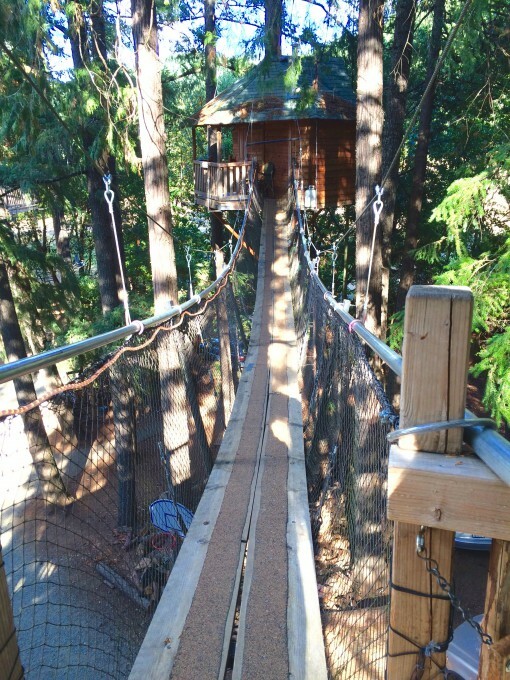 It went on with a stress test, where about 30 people squeezed into a small treehouse until the beams deflected. Then Christopher and Johannes were taking in a lecture about treehouse project management, in which Alex from Nelson Treehouse and Supply was explaining how workflows within the team can be optimized. 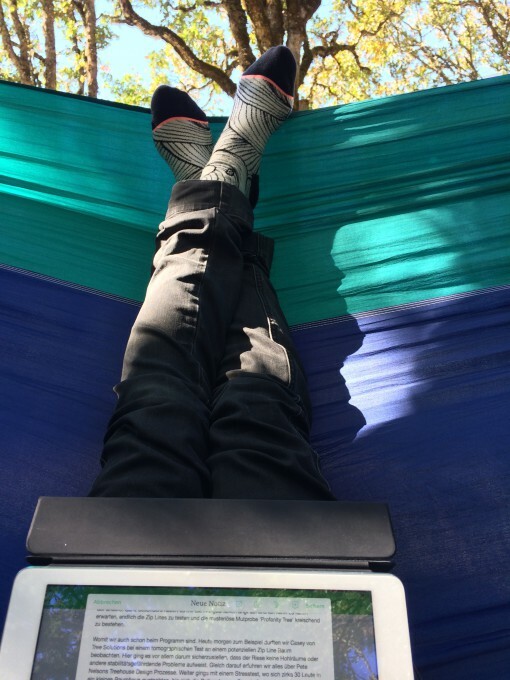 Meanwhile I was relaxing in the hammock and writing to you. It won’t get any better. The first draft. Hellish technical difficulties delayed the blogpost from being published earlier.